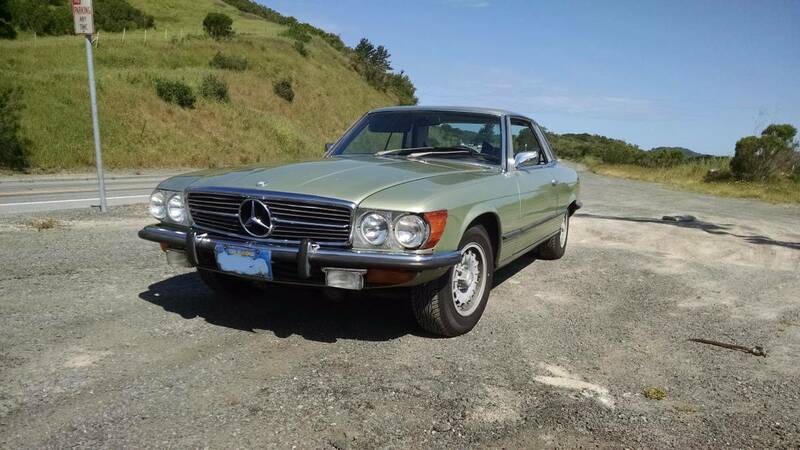 I've never claimed to understand the classic car market, but for the life of me, I can't understand why the R107/C107 Mercedes-Benz SL/SLC are so cheap in today's "everything that is old is cool and gold" marketplace. I probably should just keep my mouth shut and pack my garage full of cheap examples of these...but I'm just gonna sit here and ponder out loud. 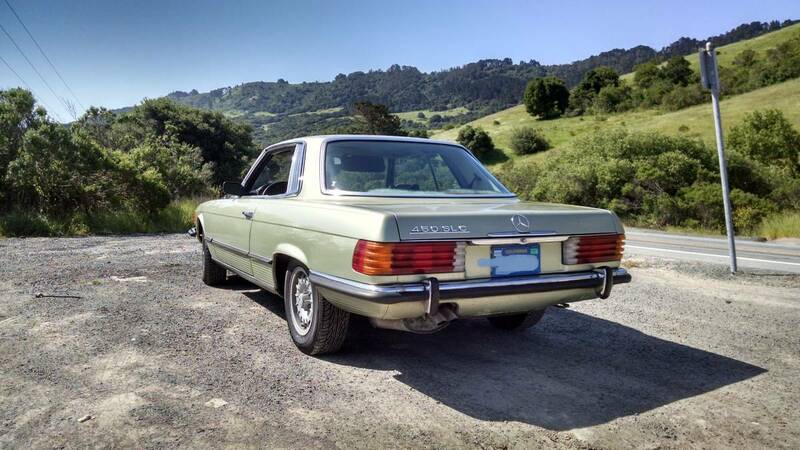 Find this 1974 Mercedes-Benz 450 SLC offered for $3,000 near SF Bay Area, CA via craigslist. The market for R107 coupes is very friendly to the budget enthusiast, cheap examples are abundant and even the best cars go for reasonable money. Price-wise it is just about the polar opposite of any 1960s 2-seat Mercedes such as a W198 300SL or W113 230/250/280 SL. The 4.5 liter M117 V8 puts out 214 horsepower and is mated to a 4-speed automatic gearbox. The Bosch K-Jetronic fuel injection system is fairly reliable but easy to work on when things get broken. I think some of the hesitation has to do with the fact that almost all of these cars have automatic transmissions and north american cars have bumpers that add at least 3ft to the overall length of the vehicle. If not perfectly maintained, these are a money pit. When uou have to replace subfram bushings, take a second mortgage. This 450SLC has small U.S. bumpers, so it must be a 1973 model. Power was around 190 hp, not 214.